Ann Simpson has been with moss+ross for five years following more than 16 years as Associate Dean for Development at The UNC School of Government. Having provided consultation and training in communications and fundraising for various nonprofits and land trusts throughout North Carolina, Ann retired from the School in 2013 to devote more time to consulting and publications work. With moss+ross, she has worked with the UNC School of Media and Journalism, Caring House, Habitat for Humanity of Orange County, the Conservation Trust for NC and other clients on executive searches; Redwoods Group Foundation and two synagogues on case statements, and with the UNC School of Media and Journalism, the UNC Institute for the Environment, and the Conservation Trust of NC on campaign readiness, planning, goal setting and feasibility. Ann originated the Institute of Government’s development program in 1997 and in 2013 left a successful team raising over $1.2 million annually in private operating, program and endowment funding. From 1998 to 2006, the School participated for the first time in a University capital campaign, successfully exceeding its goal of $10 million under her leadership. Throughout her tenure at the School, Ann worked with her team and with volunteer committees to design and implement numerous funding campaigns, events, tributes, lectures, and special projects. She also produced regular institutional and special communications including a semi-annual newsletter, brochures, press releases and annual reports. Ann received a journalism degree in 1978 from UNC-Chapel Hill. After a post-graduate internship in Asheville with the US Fish and Wildlife Service, she served in a variety of positions with The Nature Conservancy, including Acting Director of Communications in its national headquarters in Arlington, Virginia. 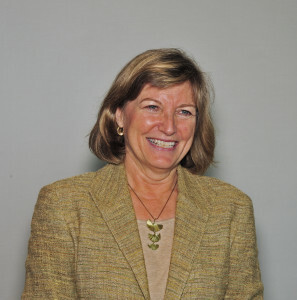 In 1988, she became the first Development Director at the NC Environmental Defense Fund in Raleigh, and later was named Campaign Director for the national Wetlands America program of Ducks Unlimited, focused on large wetlands conservation projects in South Carolina and Texas. From 1995 to 1997, she initiated and built a major gifts program for UNC-TV. Ann is a native of eastern North Carolina. She is married to Kenan Distinguished Professor of Creative Writing Bland Simpson, with whom she has collaborated on three books, Into the Sound Country (UNC Press; 1977), Inner Islands (UNC Press; 2006), and Little Rivers & Waterway Tales (UNC Press; 2015), providing original photography and research. Ann and Bland live in southwestern Orange County, near the up-and-coming town of Saxapahaw. They have three grown children pursuing literary, musical and theatrical careers in New York City. Ann currently serves as President of the board for the North Carolina Coastal Land Trust and on the Advisory Board of NC Sea Grant.